Standing NATO Mine Countermeasures Group 1 (SNMCMG1) under command of Commander Johan-Elias Seljamaa from the Estonian Navy have arrived at Liverpool Cruise Terminal today. The Group will stay here until Monday morning when leaving towards London. Planned activities in Liverpool will be a courtesy call arranged by local authorities, official reception on board Wambola for distinguished guests, unit replenishment and crew relaxation. Prior to the visit to Liverpool, the Group participated in multinational UK held naval exercise Joint Warrior 17-1 for two weeks off the west coast of Scotland with almost 30 other naval vessels from NATO. The group completed various MCM operations including operational planning, mine hunting, diving, mine recovery, and remotely operated vehicle and autonomous underwater vehicle training. The group also completed a gunnery exercise, helicopter transport and replenishment, force protection drills and replenishment at sea. SNMCMG1 consists of flagship ENS Wambola and two mine countermeasures vessels: HNOMS Hinnoey and HNLMS Schiedam and is a part of the enhanced high readiness NATO Reaction Force which provides a crucial element to NATO’s capabilities in area access and area denial operations. When not activated by NATO, SNMCMG1 takes part in different multinational exercises and trains with NATO members and partners. SNMCMG1 is one of four NATO teams operating in the international arena. As the first group it was formed in the Belgian port of Ostend on May 11th 1973 and went by the name of Standing Naval Force Chanel being under control of so-called English Channel Force Commander. The purpose of the appointment of the Standing Group was primarily to ensure the safety of navigation and approaches to ports in the English Channel and the North-West of Europe. In the event of a conflict with the Warsaw Pact countries the Group was to change the operating area for the North Sea over West Germany. Initially the Group consisted of the following states: Great Britain, Germany, Belgium and the Netherlands. Two more countries (Norway and Denmark) joined the team in 2000, when the team was reorganized. The operating area of the Group was significantly expanded, and the name changed into Mine Countermeasures Force Northern Europe. Defining new threats and thereby increasing the spectrum of tasks to their elimination, led the team to becoming a global-scale group, which can operate in almost every corner of the world. Changes in the nature of the Group and the subsequent change of name to NATO Response Force MCM Force Northern Europe were approved at the NATO summit in Prague in 2002. In the same year the group was joined by ships from the new members of NATO: Poland, Lithuania, Latvia and Estonia. The team changed its name two times since then. In January 2005 into: Standing NRF Mine Countermeasures Group 1 and exactly one year later into: Standing NATO Mine Countermeasures Group One, which is the current name. 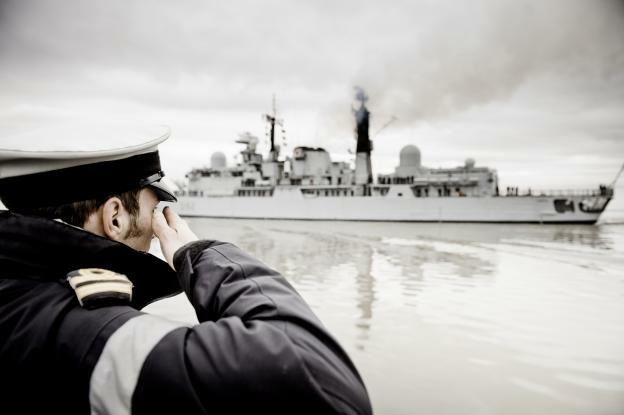 Due to the fact that the Group consists of ships from different NATO members, its command changes annually. Since July 2016 the lead of the Group is assigned to the Estonian Navy. The Commander of the group is Estonian Navy Commander Johan-Elias Seljamaa. Whilst the ships are not open to visitors, you can get a great view from Princes Parade. This entry was posted in Latest News, Liverpool on April 7, 2017 .